South Korea Vice-Foreign Minister Lim Sung-nam admitted on Monday that the U.S.-North Korea agreement made in Singapore on June 12 provided the structure on which a full agreement will need to be built. The minister was responding to critics who have charged that Pyongyang has not yet conceded its nuclear ambitions, despite the appearance of a successful summit between U.S. President Donald Trump and North Korean dictator Kim Jong Un. 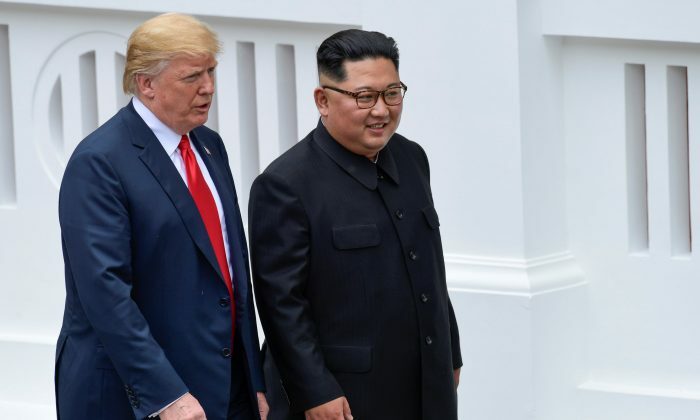 In a joint statement with Trump following the summit on June 12, Kim promised that he will commit to “complete denuclearization” of the Korean Peninsula, though no specific details such as a timeline or method for disarmament were given. Trump’s summit with Kim was loudly hailed by South Korean President Moon Jae-in, who has a record of supporting a conciliatory approach to North Korea. Some international observers also see the unprecedented meeting as instrumental in “breaking the ice” with the nuclear-toting Pyongyang regime. Many observers, however, are deeply skeptical of Kim’s promises, noting that North Korea has not yet demonstrated its commitment to fully liquidate its nuclear arsenal, which includes thermonuclear warheads that could be mounted on intercontinental ballistic missiles and used to attack the continental United States. “I am aware of the critical voices against the Singapore statement,” Lim said at a forum at the Center for Strategic and International Studies (CSIS) in Washington D.C. on June 18. While calling on the United States and international observers to be optimistic about the future of the Korean peninsula following the historic summit last week, Lim also said that to make the Trump-Kim agreement work, both Washington and Seoul need to “work together” to add substance to the skeleton framework. Sue Mi Terry, a senior fellow and Korea chair at CSIS, said at the forum that North Korea had already “gained a lot” from the Singapore summit, such as a perceived relaxation in U.S. maximum pressure strategy, and the fact that Kim Jong Un gained legitimacy by meeting with Trump. Many sceptics of the Singapore summit believe that Kim will renege on the promises of denuclearization as soon as North Korea regains economic steam following a potential lifting of U.S. sanctions. INorth Korea has a long record of violating agreements, such as a string of six-party talks it conducted with United States and others throughout the 2000s. Lim promised that South Korea will continue to enforce U.S. sanctions on North Korea, until the Kim regime takes genuine steps to denuclearization. 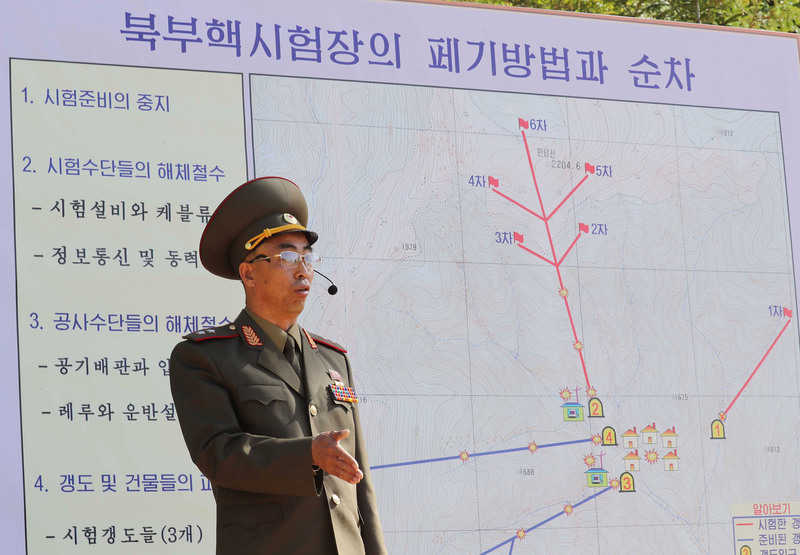 North Korean media have claimed that the progress to denuclearization would be step by step and reciprocal, with sanctions coming off as progress was made. On June 14 in Seoul, U.S. Secretary of State Mike Pompeo gave a different interpretation of the meaning of the summit.